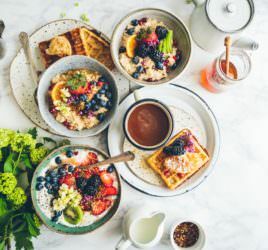 You’ll find that many nutrition and fitness practitioners will provide you with a meal plan for breakfast, lunch and dinner, which you can follow on a daily, weekly or even monthly basis. At first, this might be appealing; after all, if you just do what you’re told and stick to the rigid plan, surely you’ll achieve success? The problem is that it is so difficult to adhere to a generic plan that doesn’t take into account your age, gender, lifestyle, buying and cooking styles and even food preferences. A personalised approach that takes into account all these considerations is much more sustainable over the long term and therefore more likely to achieve your health goals. The bottom line is that you don’t need to weigh your food and you don’t need to do anything except opt for a variety of real food in sensible, balanced portions. So, instead, think about what you’re already eating and how you can make small changes and improvements to make each choice count nutritionally. 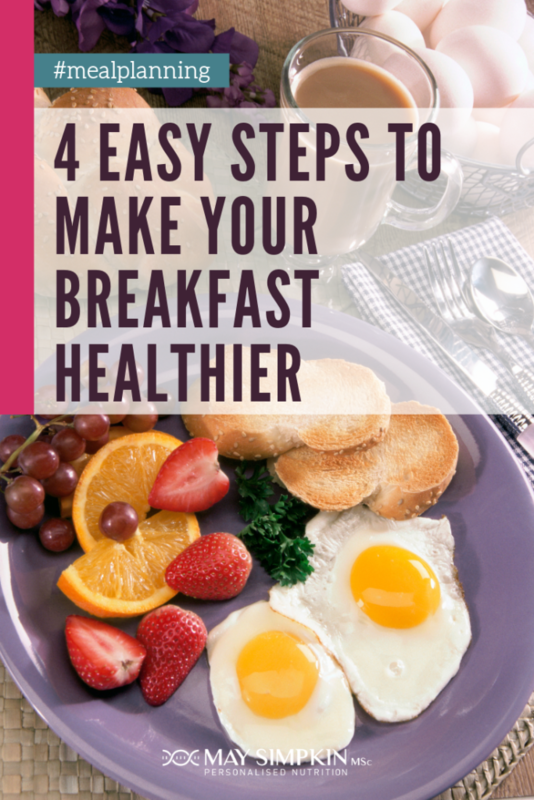 Step-by-step process to transform your breakfast choices and set yourself up for the rest of the day. If your regular breakfast is a heavy milk based coffee with a croissant, that you’ve grabbed at the train station and gulped down before you’ve arrived at work, let’s look at whether this is working for you? Was that convenient on a practical level or was the juggling act of eating and drinking stressful and unsatisfying? Let’s now look at how you can improve these choices? ……You’re still in a rush, but rather than eating on the run, you wait to eat your breakfast whilst running through your inbox at your desk. ……You’re still eating at your desk checking emails or news headlines (reality prevails!) but you’re now making some great nutritious choices. You’re setting aside 10-15 mins to eat your breakfast at leisure, mindfully whilst you ponder the day ahead. You’re regularly bringing in a protein-rich breakfast from home; for example a Bircher muesli, homemade Granola & Greek Yoghurt or a frittata muffin you’ve prepared in advance. You’ve switched to a green tea and find you’re not so reliant on coffee to get you going first thing.